It’s true, there really are certified beer judges—thousands worldwide. These dedicated beer lovers work hard to evaluate, compare, rank and provide entry feedback to both homebrewers and professional brewers. There are certainly many paths to learning how to evaluate craft beer, and each judge’s journey is a compilation of experience, beer evaluation practice, brewing, book study and more. Being a beer judge is a position of responsibility—to the entries themselves and to the breweries who work tirelessly to create them. I kid you not, it takes work and commitment to become a judge. I like to say we are all palate athletes who are constantly training our senses to recognize flavors and aromas. Personally, it took me more than 10 years of beery exercise before I became a confident beer judge. Check out my beer resume—it shows just how long I’ve been working to beef up my beer skills. I think that beer teaches me about culture, history, geography, agriculture and so much more. Judging beer has not only provided me with a greater awareness and understanding of flavors, it’s helped advance my beer career, and the careers of thousands of others in the professional beer world. If gaining access to this aspect of beer culture is attractive, you might have what it takes to be a beer judge. My biggest tip on becoming a beer judge—drumroll, please—become familiar with the beer style guidelines. To explain the concept of beer styles, I look first to the Brewers Association (BA), publishers of CraftBeer.com. Released annually since 1993, the BA Beer Style Guidelines are developed using sources from the commercial brewing industry, and input from beer competition judges. It is the most comprehensive set of style guidelines for judging commercial beer styles. The guidelines, which are updated every year, focus first on a beer’s appearance, aroma, flavor and finish, in that order. 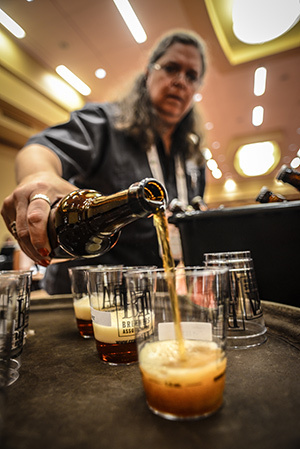 Versions of these guidelines are used by judges as a resource to match against when tasting beers entered into the Great American Beer Festival® and World Beer Cup®. The Beer Judge Certification Program (BJCP) is a global, volunteer-run program (how amazing is that?) that exists to further beer judging and tasting and the evaluation skills of homebrewed beer. The BJCP Style Guidelines break beer into multiple main categories with sub-categories in each style. According to the BJCP, the goal of their guidelines is to provide a common set of standards for judges so that there is a level playing field for all entrants. Judges and entrants are both using the same descriptions, so the decision on “Which beer is best?” is based less on personal opinion of the judges and more on how well the entered beer matches world class commercial examples of the style. To become a BJCP-certified judge, you’ll take an online exam and an in-person tasting exam. From there, you can further test to evolve from BJCP recognized status to certified and beyond. It’s extremely helpful to have a copy of the style guidelines at your fingertips as a quick reference is key to enhancing familiarization. The BJCP provides both Apple and Andriod apps (and a few other mobile options) for a variety of handheld platforms. Also, the crazy awesome Beer Judge App works in concert with the BJCP app to provide flavor descriptors, SRM (beer color) and common off-flavor descriptions and their sources. Sampling a wide variety of beer styles is essential to rounding out familiarity of beer styles. I like to visit a better beer provider who has a large selection of single bottles and make a variety pack for my tastings. Then I have a friend (or do with your eyes closed) grab a beer, and without looking at the brand and packaging pour samples for you to taste and discuss. Essentially you’re blind tasting, just like during a judging session or beer exam. 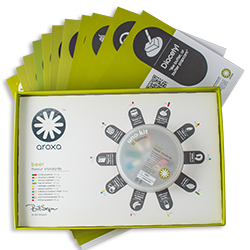 A tasting kit can be split by several parties to “doctor” samples with common off-flavors found in beer. Get samples of several different beer styles and share them, one by one, with a group. Have each person silently fill out a score sheet (here’s a great score sheet from the BJCP). Then openly compare comments so you each can enhance your flavor vocabulary. The more you force yourself to describe the beers you sample, the better you will get at not only mentally identifying what you are tasting, but also describing what you are tasting. 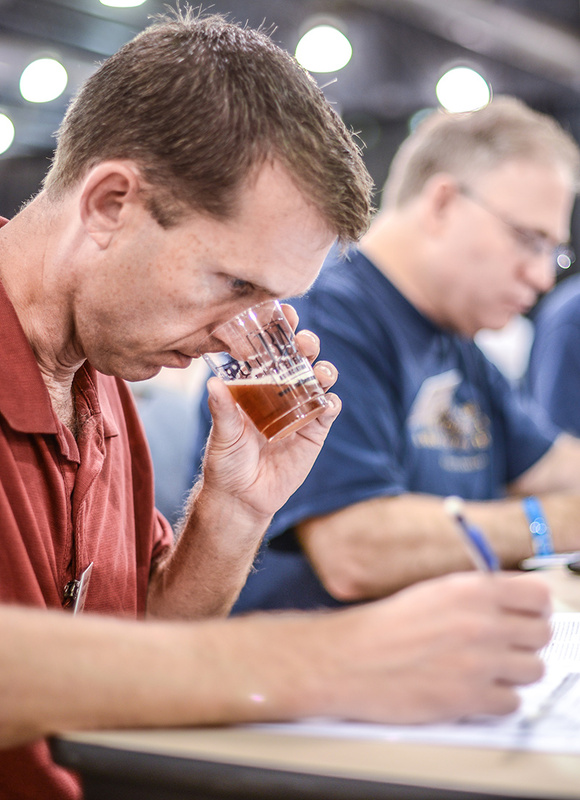 A steward is an individual who serves the judges their samples during a beer competition. They also sort entries and score sheets and help ensure each competition is executed with care and professionalism. Stewarding provides incredible judge training and valuable hours if you’re in need of experience points for advanced BJCP certification levels. The Master Brewers Association of America has a Beer Steward Certificate Program that is another great program for judge training. I started as a competition steward and also helped organized several homebrew competitions before I felt comfortable enough to judge. The BJCP has numerous competitions throughout the year. Check out the BJCP Competition Calendar and contact individual organizers about availability to steward. If you are the very, very beginning of your beer tasting career, the CraftBeer.com Beer 101 Course is a great place to start. The hour-long course overviews the history of beer, brewing ingredients and processes, styles, tasting, glassware and pairing beer and food. This course gives beer beginners a big picture overview of craft beer. As a beer judge who is also constantly evolving my rank and palate, the BJCP Exam Center is one of my top go-to resources on beer studies. 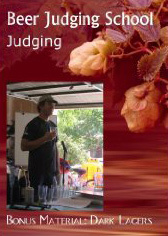 This judging DVD is something I use as an outside the classroom resource for aspiring beer judges. It’s a thorough series of lessons, and since it’s a DVD, you can view at your own pace! 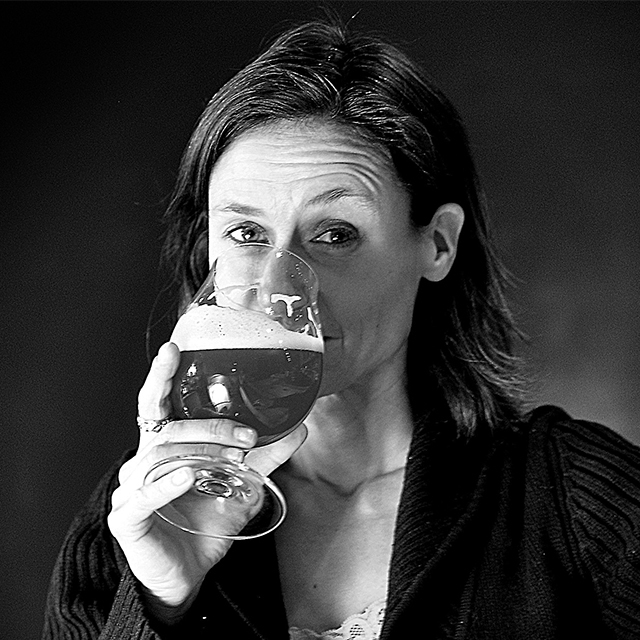 The Beer Schools section of CraftBeer.com provides listings for both online and physical schools, including links to the very popular Cicerone® Certification Program and many more. There are so many must-have beer books for aspiring judges. Brewers Publications is a great place to start, and these style-specific books are a must. Remember the more you judge the better you get. And, there could certainly be worse things to practice than tasting beer! It’s one of my favorite hobbies, and it has turned into my career. Remember to always have fun, it’s just beer. The first time I looked at the style guidelines, I was totally overwhelmed. Don’t be discourage and take your time. Start building your beer resume today, and maybe you’ll land one of the holy grail of judging spots at the Great American Beer Festival. 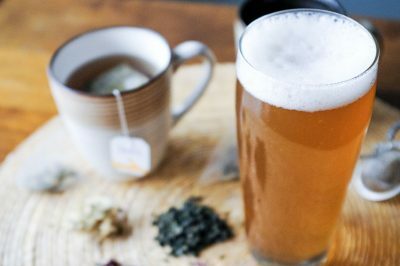 We know you love coffee beers, but a new craft beer trend is hot right now: tea beers. Here are a handful of the tea beers around the country you can seek out. 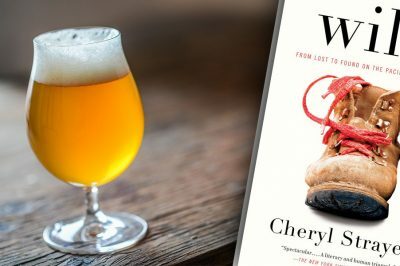 If you love craft beer, this fall, explore the literary possibilities with these beer and book pairing ideas. 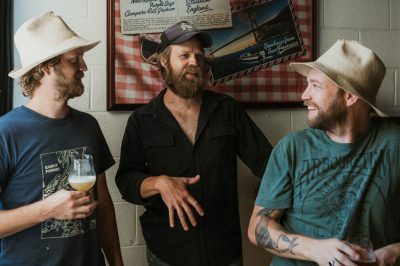 From the Mid-Atlantic to the Arizona desert, the seeds of beer agriculture are growing, putting craft beer at the center of the “going local” movement that extends far beyond the breweries themselves.